Boasting innovative Polartec® Alpha® insulation, this breathable running mitt is designed for keeping hands warm in the winter when the conditions are cold and dry. Mobile devices can be operated while wearing the mitt. Active insulation: Polartec® Alpha® insulation regulates warmth and transfers moisture – perfect for active use with exceptional breathability. Extra grip: Silicone grip on the palm helps improve grip when running with poles. 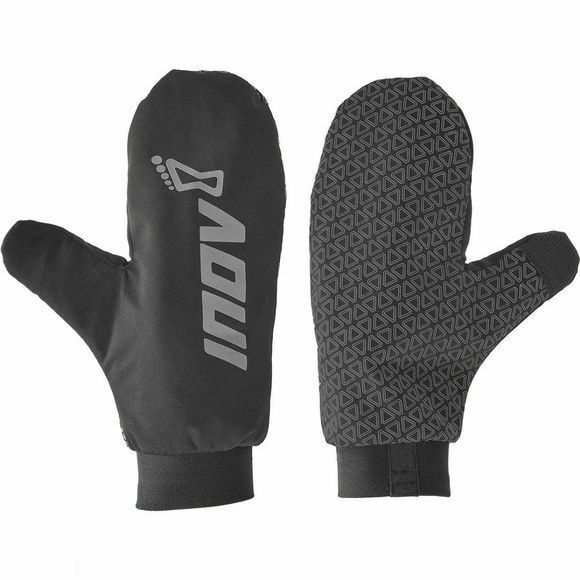 Mobile device friendly: Finger-tip padding has been designed so a runner can operate a mobile device without taking the gloves off. Winter-ready: Means cold hands (which can ordinarily force a run to be cut short) are not a problem, even in the coldest months of the year. More security: By using the attached wrist loops the runner minimizes the risk of the mitt being lost. It also means the mitt can be quickly put/on removed as when required.